Was founded in 1989 from an idea of ​​some sailing enthusiasts who complained about the lack of an associative structure that was used to collect shipowners and sailing enthusiasts both racing that agonistic. The activity of the Association is focused mainly on the offshore sailing sector, with attention to the competitive activity, a sector in which have been achieved many gratifying results. Our attention has been dedicated not only to those owners who are already participating in regattas, but also to those who have never approached the world of competitive sailing organizing, for many years "ALL A SAIL", which is a special race, a non classified regatta open to all sailing lovers who own a sailboat, even small boat, and with non-sophisticated equipment. The flagship of the Roberto Lacorte presidency is undoubtedly the 151 MIGLIA-TROFEO CELADRIN (from 2017 TROFEO CETILAR). Offshore race born in 2009. 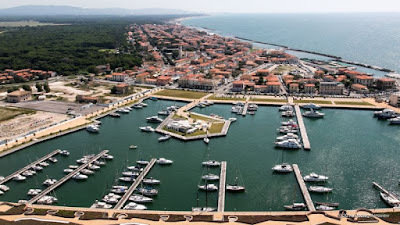 Since 2016 it also have a venue in the Port of Pisa with the restaurant that bears the name of our Club and that allows us to offer more services to the members.